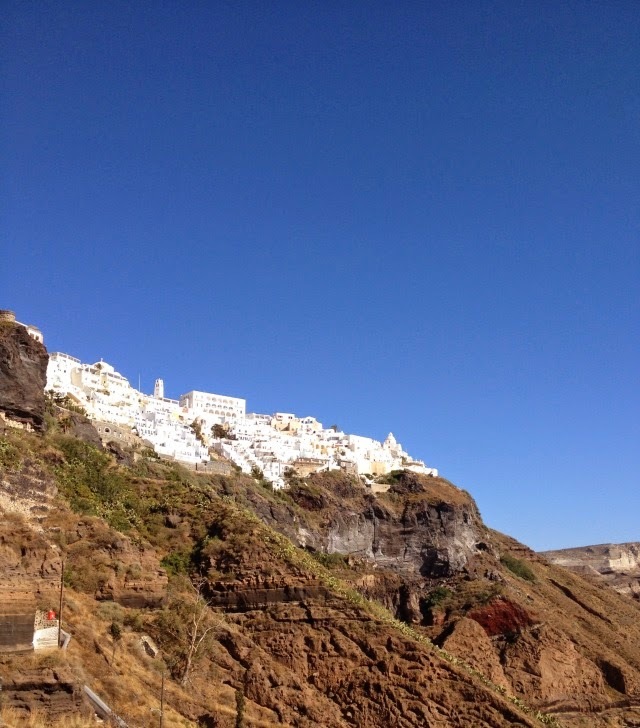 As you can see Fira is situated on the top of cliffs, and the views are absolutely breathtaking. It is a very busy town that is filled with shops, restaurants, and more. It felt like we could have spent forever looking around as there was no shortage of activities to keep busy, and there was something different going on everywhere you turned. It was easy to get caught up in all the chaos, but I wanted to remember to keep taking in the sights around me. 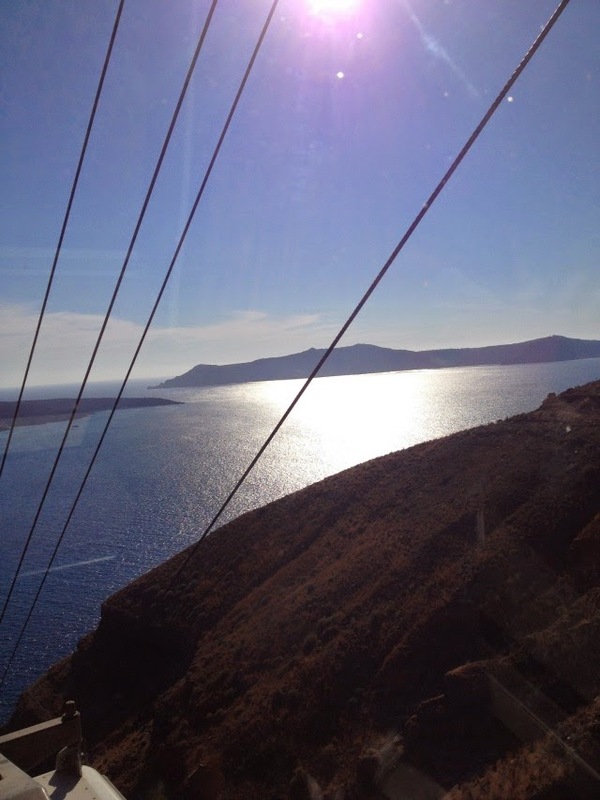 We took a cable car down the side of the cliffs, which was an amazing experience. I'm actually terrified of heights so I was really proud of how well I did with this and that I didn't freak out at all. I'm so glad that I got to experience this because it is something that I will never forget. 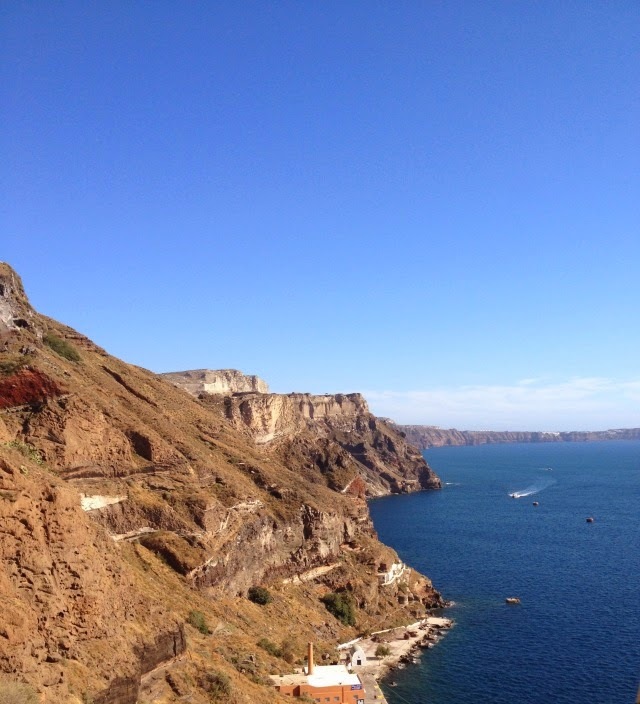 The sights on the way down the cliffs were some of the most spectacular I have ever seen. 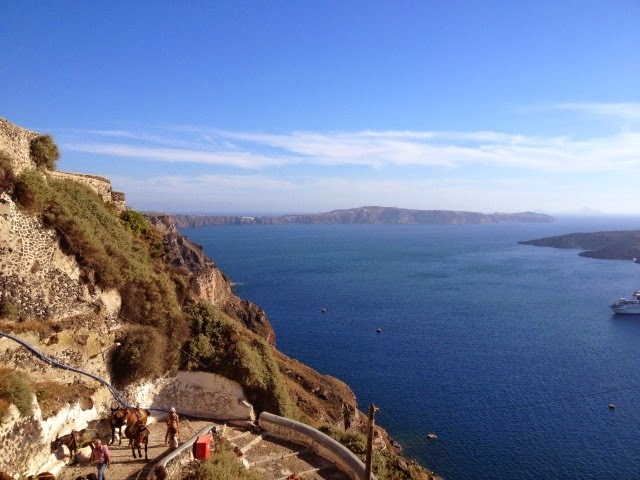 The reason for taking a cable car down the cliff was so that we could ride donkeys back up it! This is honestly one of the coolest things I have ever done in my life, and something I will talk about forever. They gave me the biggest donkey out of everyone on the trip (it honestly was more like a small horse), and I'm not going to lie it was a bit scary! The donkeys are trained to walk along the edge of the walkway, which I think is what scared me, but is so funny to think about now. At the end of the ride they have someone that takes your picture and then you can buy it, normally I'm not into this, but I had to get it to bring home to my mom! 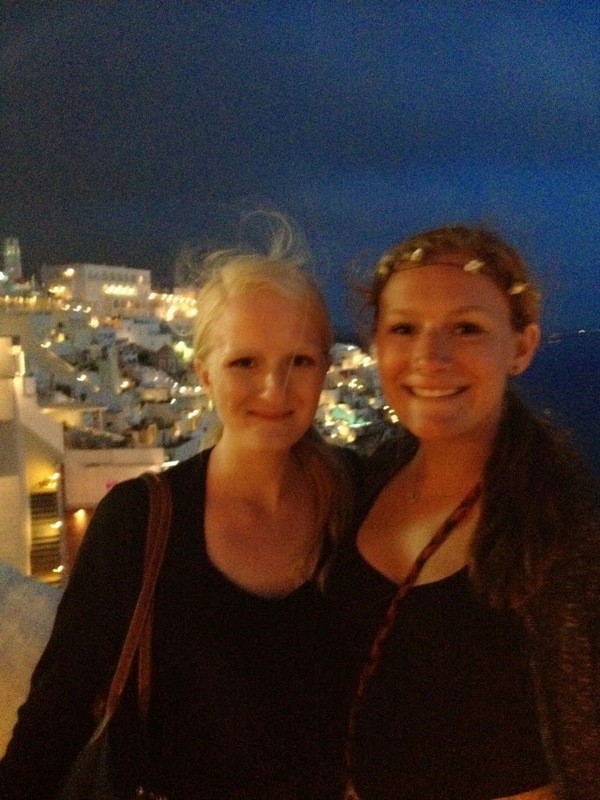 If you are in Santorini you absolutely must go to Fira to ride the donkeys, it is something you will never forget. 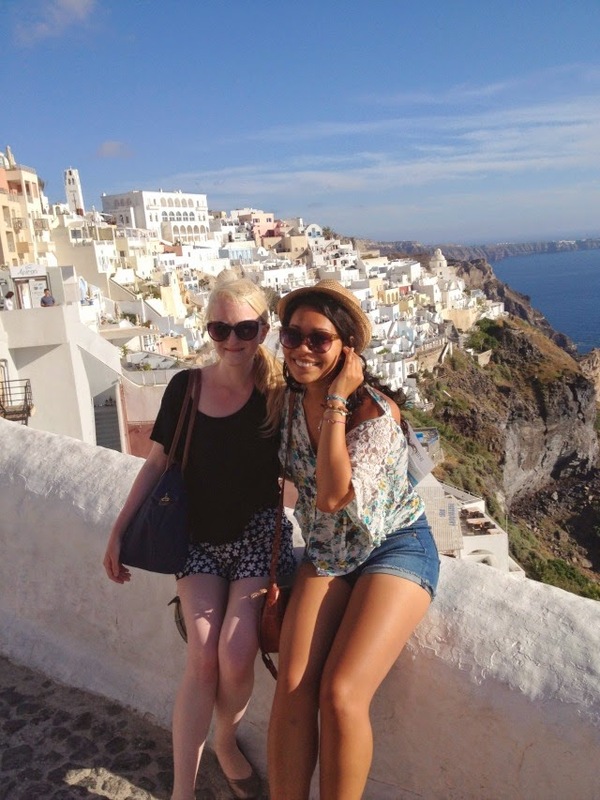 Everywhere you turned in Fira it seemed as though there was another picture that had to be taken. I really love having my own pictures of those iconic white buildings. 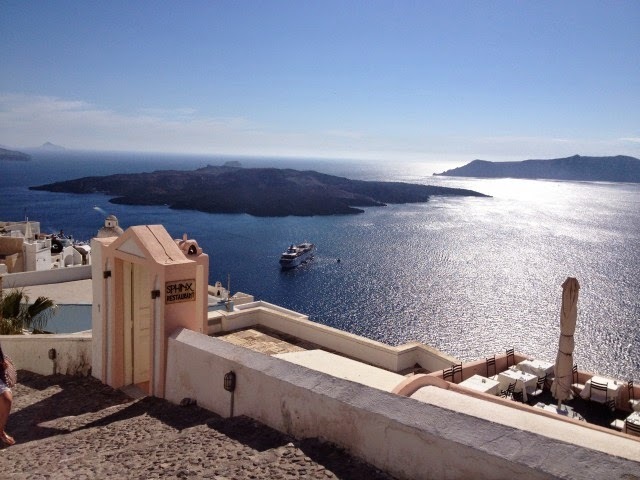 If you're going to Santorini I would say look into staying in Fira because the hotels there looked great. Like I said above we stayed in Kamari Beach, and our hotel was terrible I wouldn't even bother visiting Kamari if you didn't have to, but I a bunch of pictures and information on that for next time! 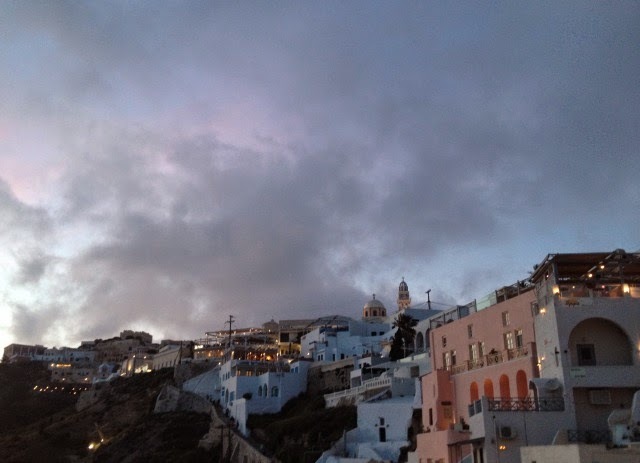 I just feel like if you're coming to Santorini you want to stay on the nicer part of the island where you see all the pretty pictures from. 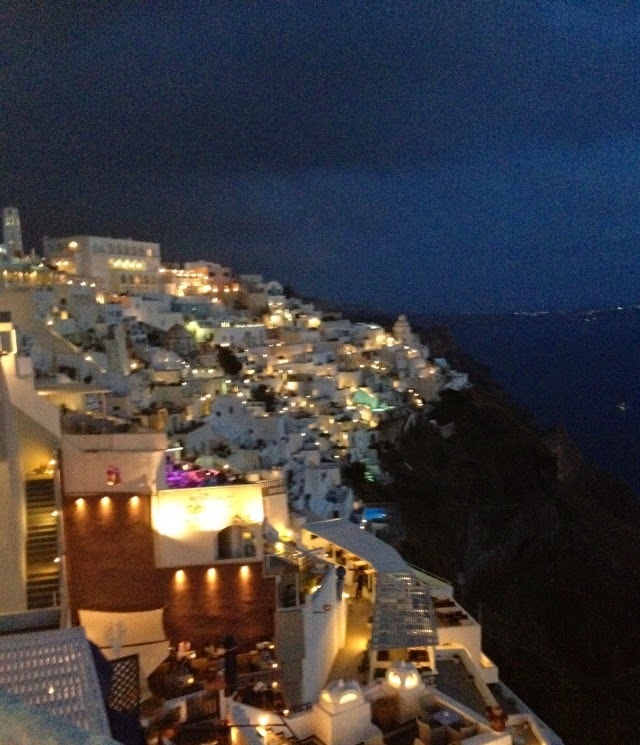 We had dinner at a really great rooftop taverna that I of course cannot remember the name of. 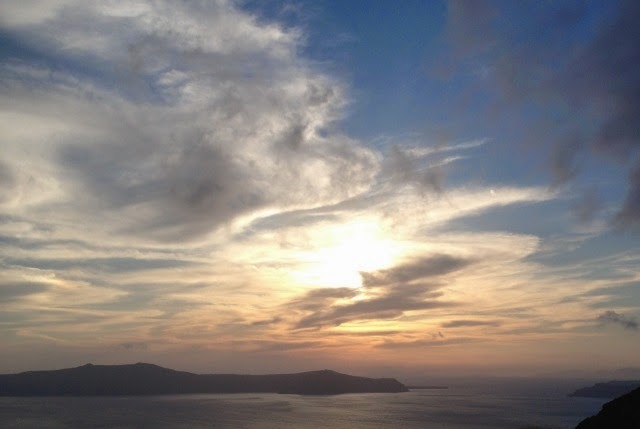 My favorite part was the views we had of the sunset while we were eating. 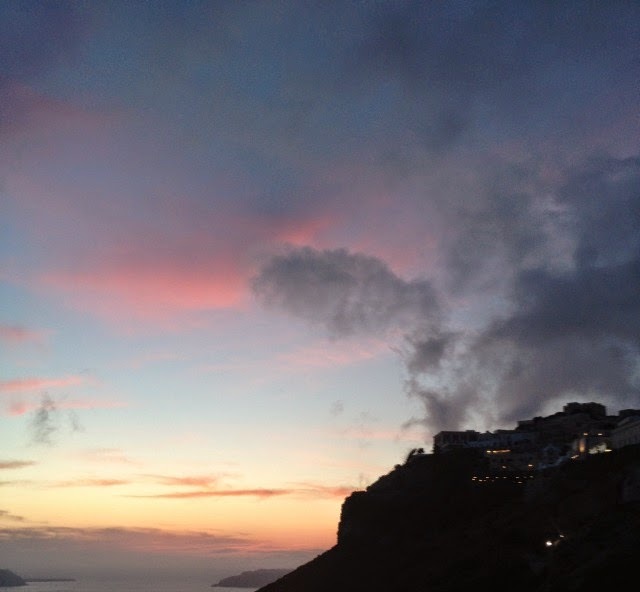 I've heard that Fira has one of the most gorgeous sunsets in all of Greece, which I think says a lot. 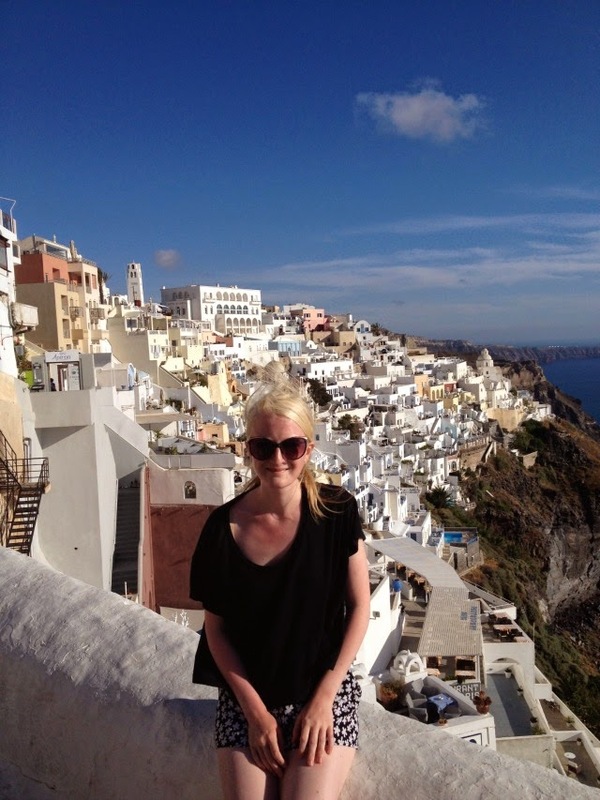 If you go to Santorini you must go to Fira (if you don't stay there that is)! 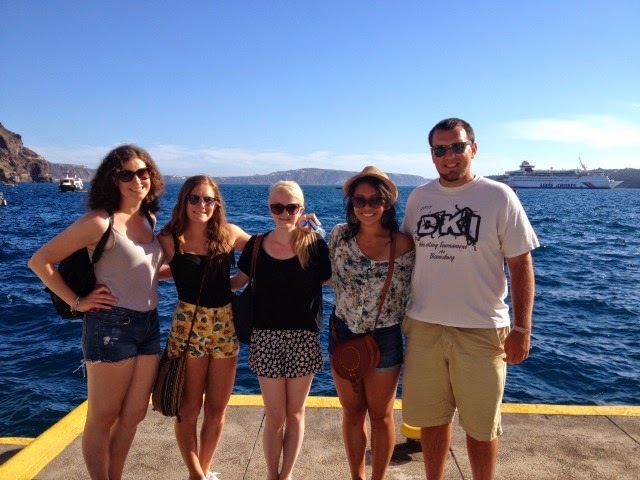 Next Tuesday I'll more pictures from my Greece trip! 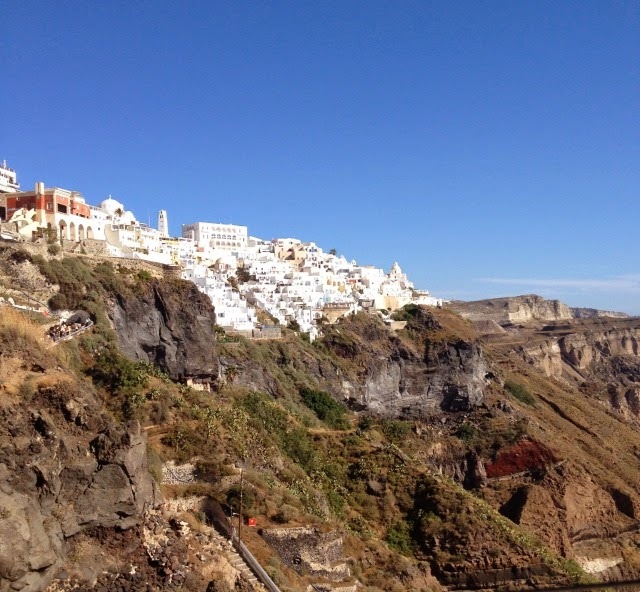 Today I'm linking up with Travel Tuesday, and #TrendingTuesday. 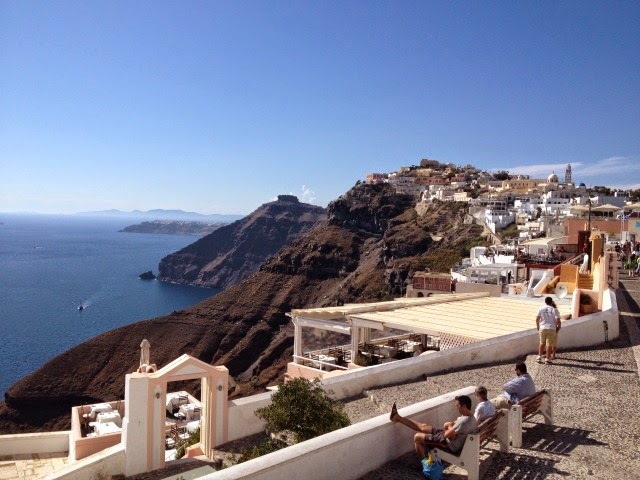 Santorini is definitely on my list of places to see. Thank you for all of the good info! BTW, was that a Delta I spotted? GORGEOUS! 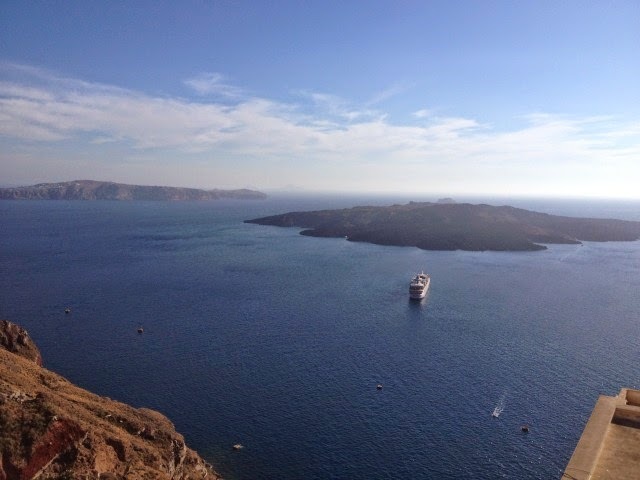 I love to travel (live) some place like this! 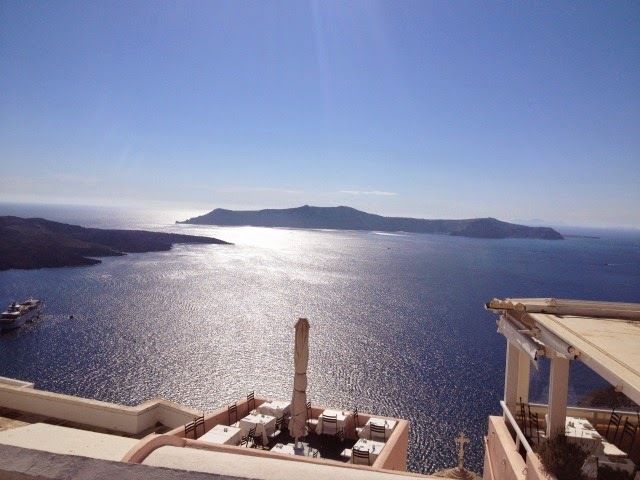 Your Greece posts have me dreaming of visiting again. 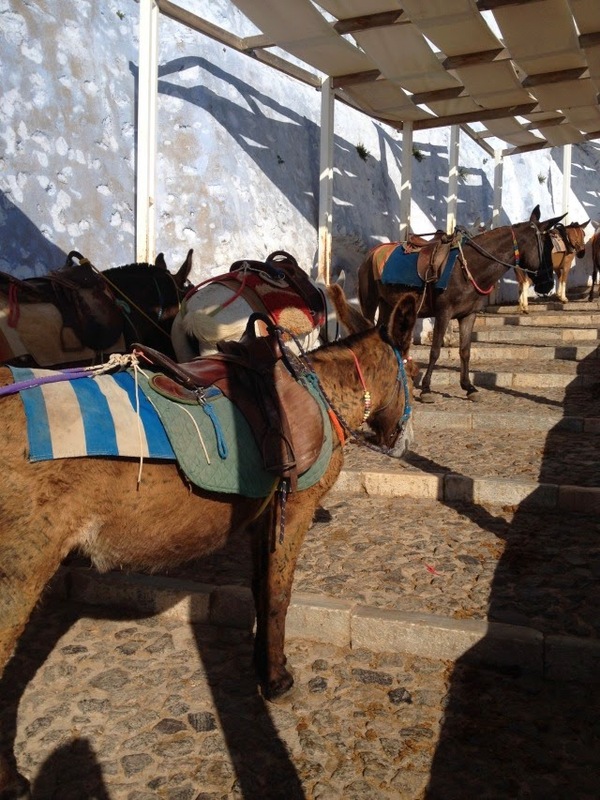 And you are so right, riding the donkeys is an unforgettable experience! 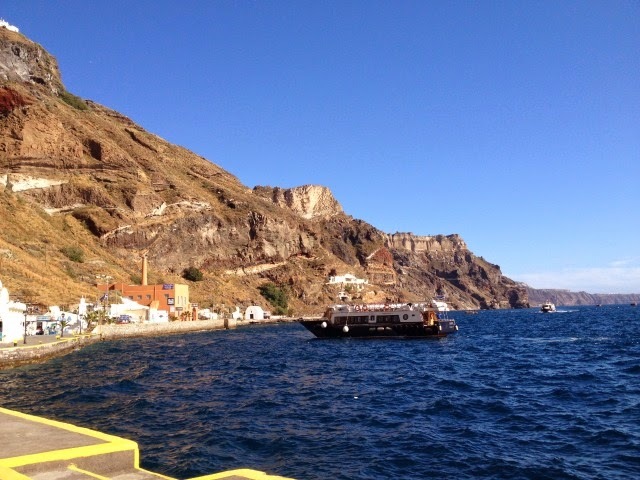 Oh I didn't know there was a cable car in Santorini! How awesome! And I would have done the same - go down the cable car to come up by donkey! Your photos are gorgeous by the way! 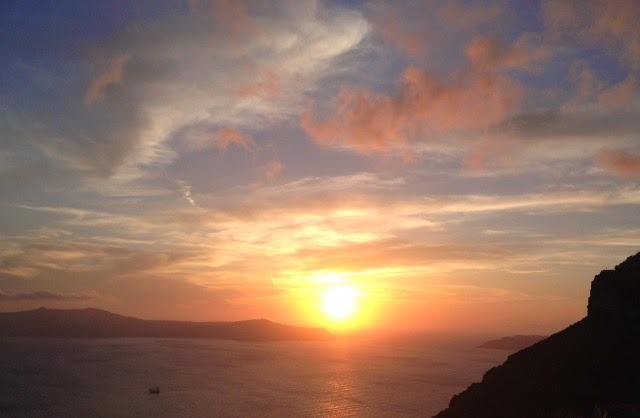 That sunset is simply amazing! Gorgeous!! Looks like you had an amazing time! WOW your photos are so incredible! 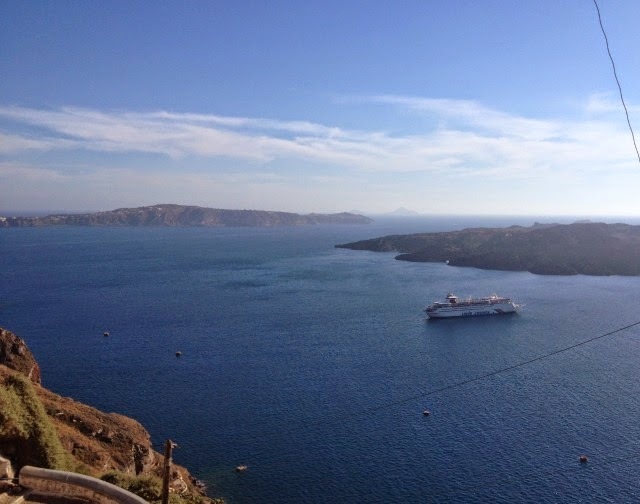 From since I was little, Greece was always the country that I wanted to visit the most. 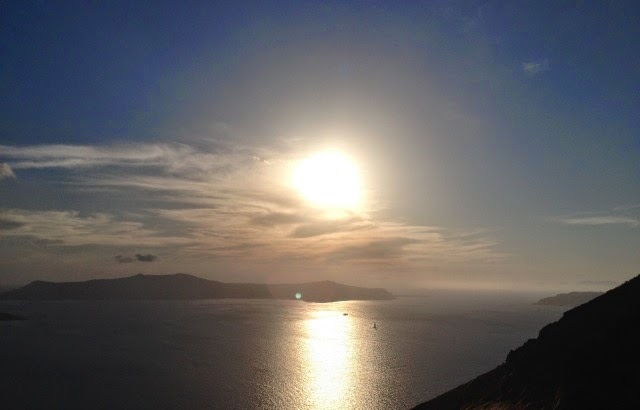 My wanderlust for this country had me enrolling in several Greek mythology/anthropology courses in university. 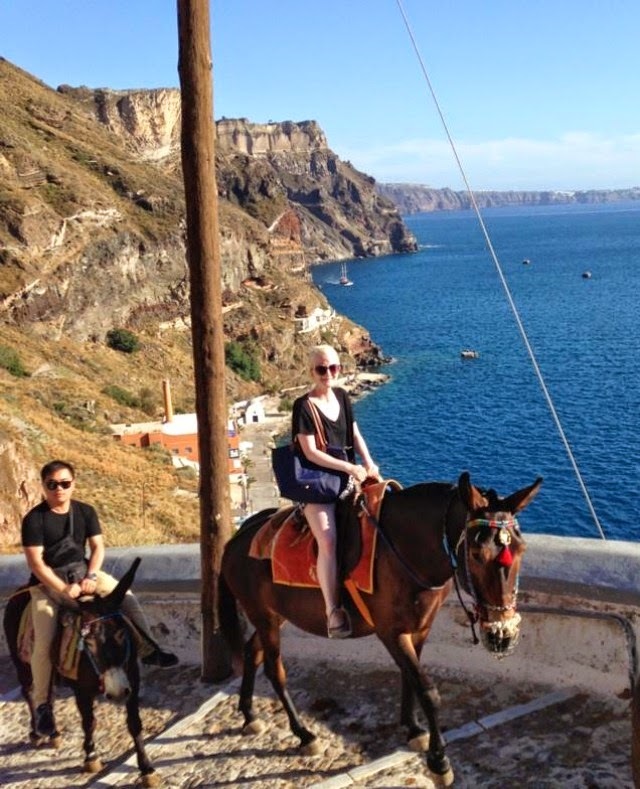 I would do the same thing as you in Santorini re: cable car and donkeys. What an experience! PS: Your and your friends' outfits are all super cute. What a dream!! 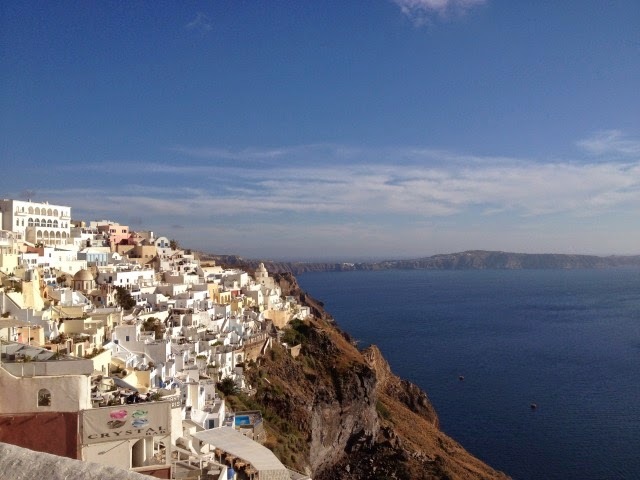 I hope to one day see Santorini! It's on my bucket list! Beautiful photos! 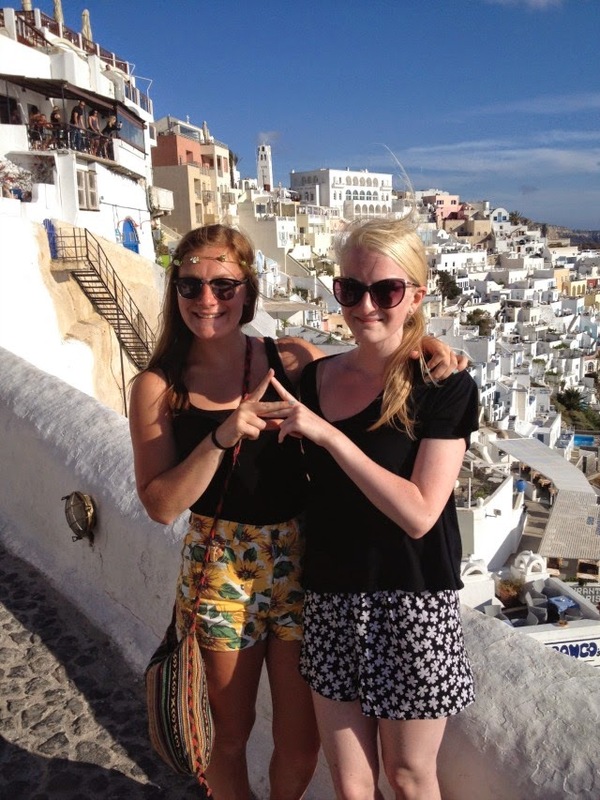 Glad I found you through Travel Tuesday!